… likes, words, experiences and memories. A Cultural Medallion Winner, Chew Kok Chang published in Chinese under many pen names. The translation of this book was made possible under National arts Council and Epigram books. I could probably have read the original in Chinese but the translator did such a good job I felt the flavour of the book is kept intact. This is a collection of short stories, which I initially thought was based on himself. Reading further on, I realised there were many fictional tales, which then made me wonder if the stories I thought was based on his experience were indeed his. I didn’t like the first few chapters on Chinese tour guides, and maids. He made them seemed crafty, out to cheat, which are probably true but reading so many such stories in a row left me with a bitter aftertaste. Are there really no honest and sincere tour guides in China? Thankfully, the stories which continued are more balance, mostly about the inner thoughts of seniors in our society – a parents worried about the late return of their son but could only voice out their concern; a lonely mother’s paradox feeling of her married son returning home to sleep after a quarrel with his wife; the obsession with queuing; a couple’s assumption on an Indian woman they met daily on their walk. Many of the stories were probably inspired by everyday news. Like the wooden fence between two semi-detached houses that each house owner refuses to repair, much like leaking ceilings in HDB flats. There were a few stories from pets’ perspective. A hamster being neglected by his owner regrets not following his partner in escaping; the dogs left behind in a village when the owners moved away. 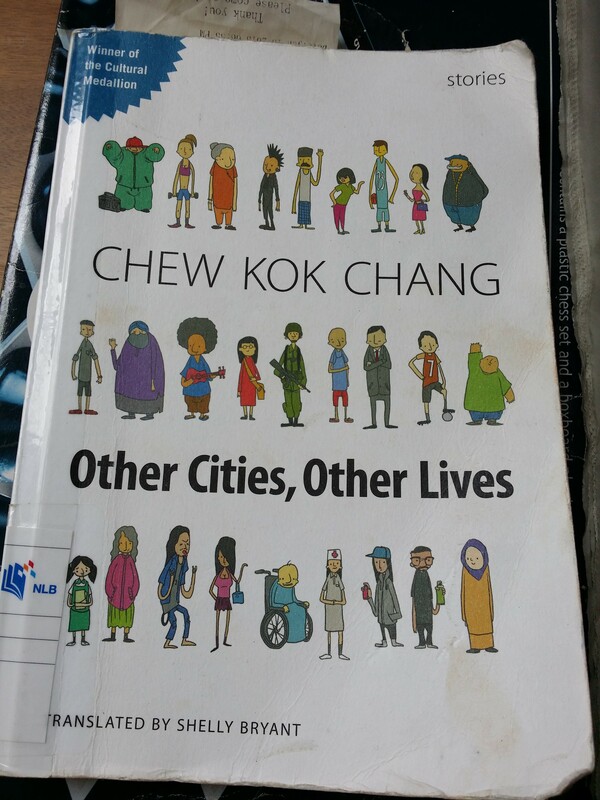 These stories made me ponder about human behaviours, especially those unique to Singapore, which he described so vividly in simple stories. Perhaps age has given the writer an advantage in seeing things in a new perspective, not marred by judgement, which is why I rather enjoyed the book.